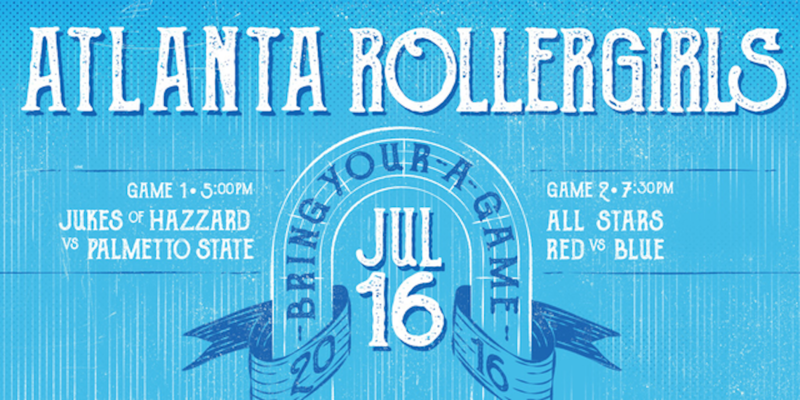 It’s the month of Mash-ups here in Atlanta and we hope you’re ready for old friends and new alliances. 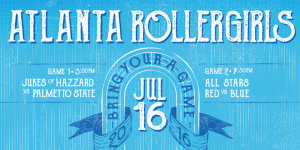 Forget your previous ties and come ready to cheer for some of the best derby Georgia has to offer. Whether it’s the Jukes against a pickup team of friends and foes or the Jammer Showdown of our all-stars and Rumble Bs, these games are guaranteed to make you second guess your previous allegiances. Be prepared to pick sides (and maybe switch sides) and scream with your favorite jeerleaders, because this night will be full of strong walls, big hits and apex jumps. 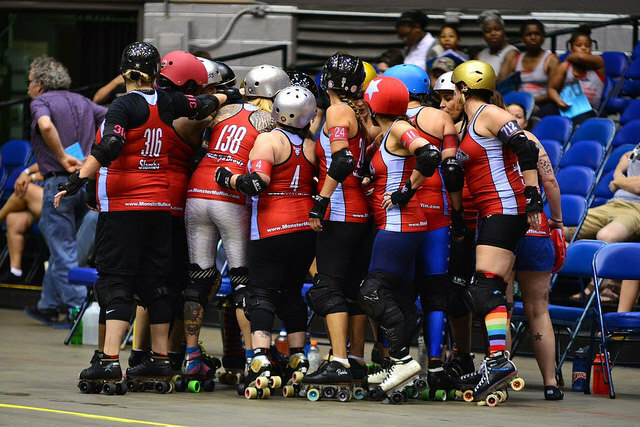 The last time we saw the Jukes of Hazzard at home was in February when they took an extremely close win of 24 points over Augusta’s Soul City Sirens. They’ve been training off the main event track and have come back, trails blazing behind them. Get ready for some of your favorite old tricks, like Slamorghini’s killer side-swipes, followed by a taste of something new. 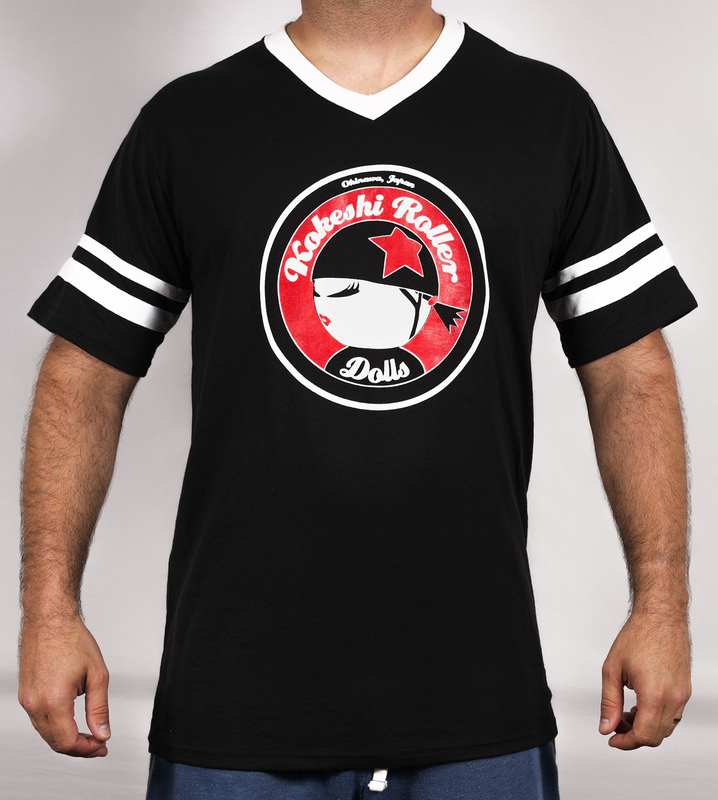 Vanilla Rice has been in training and is ready to make her debut with her new Atlanta Interleague team at home. That’s right folks, make some noise for your home team, because the Jukes of Hazzard are about to get this race started. You have to beat the best to be the best. 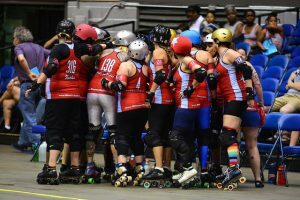 These two Atlanta teams were specially assembled to bring you the fiercest, most vehement display of roller derby available in the state of Georgia. 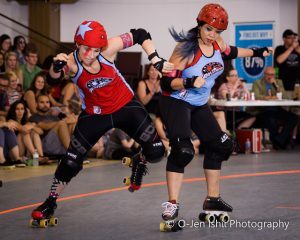 Our All-Star and B-Teams have been displaced into two new teams, ready to prove their worth against their former allies. And if all of that weren’t enough excitement (or not enough Red v Blue for you- sorry Team Instict! 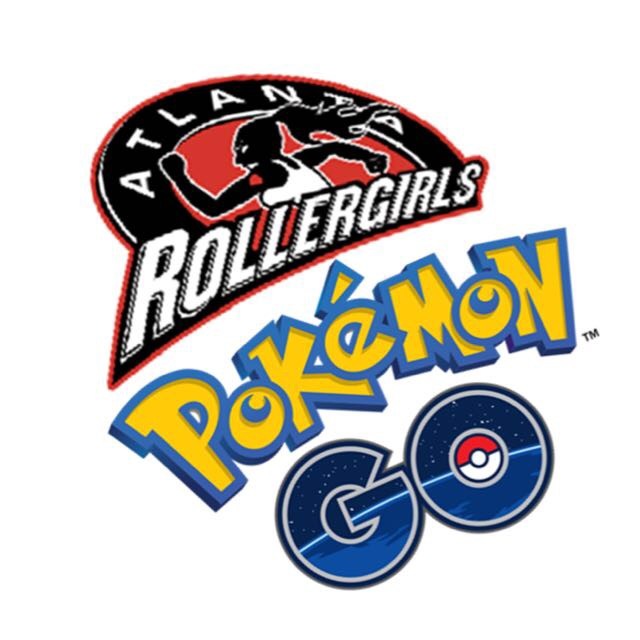 ), Poke-fever is spreading across Atlanta derby as well! Not only is the Yaraab Shrine Temple a Pokestop, but rumor has it that some training-hungry skaters will be dropping lures all day. There’s a pretty hefty Team Mystic presence in the league, so who on Team Valor wants to come even the playing field? It’s a Red v Blue Battle all day! COME WATCH AND PLAY!